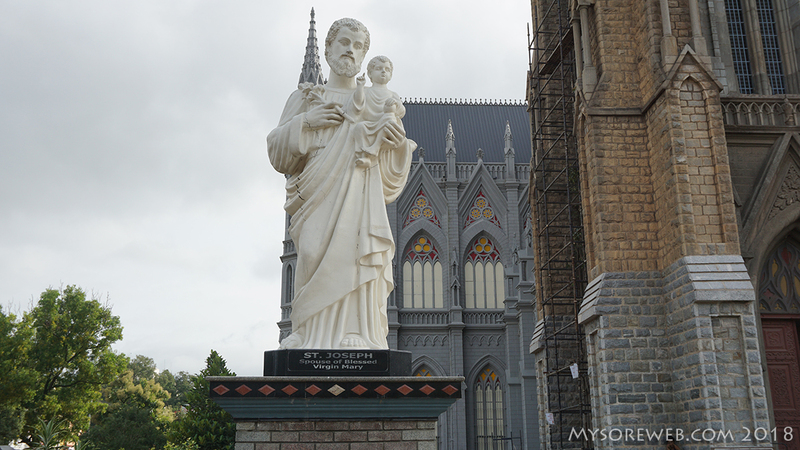 Your tour to Mysore is incomplete if you do not have at least a glimpse of the St. Philomena Church. 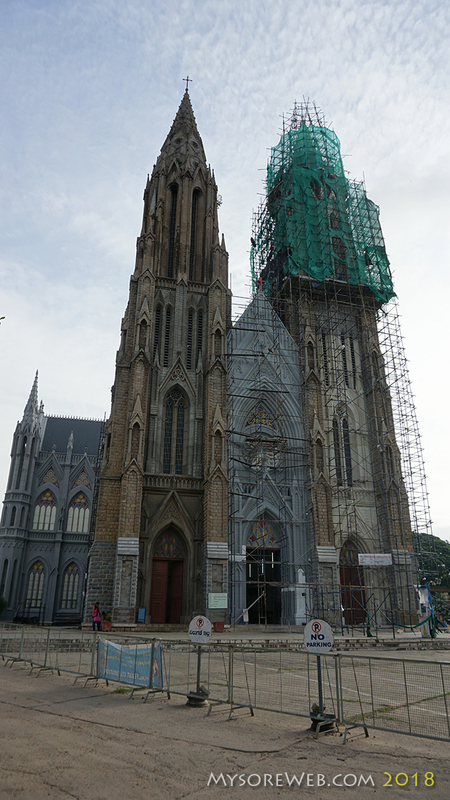 The full name of this church is the “Cathedral of St. Joseph and St. Philomena” and this is the second largest in Asia. This church has a rich history that is very interesting and you should consider reading it in Wikipedia. 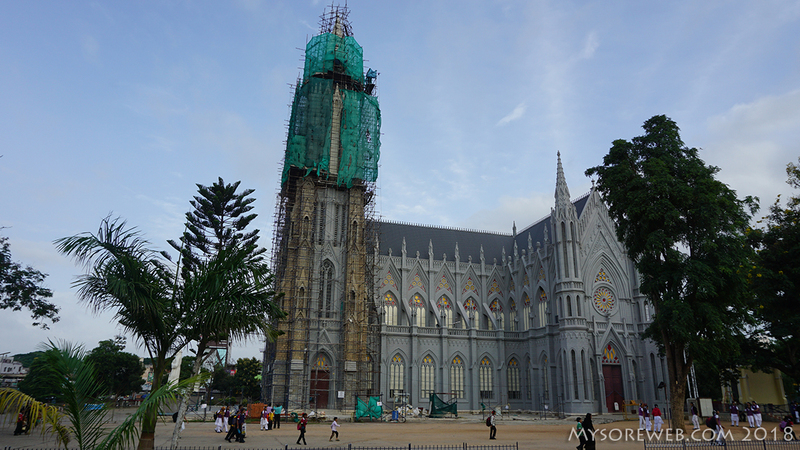 It was more than a decade that I visited the Philomena’s church before I shifted from Mysuru to Bengaluru. Last Saturday, I got an opportunity to be here with my Sony Alpha 5100. All the photographs in the post are from this little gadget. Mysore city as a tourist place attracts many travellers during the holidays. You can feel this when you drive in Bangalore Mysore Highway during the weekends. Since it was a Saturday, I anticipated a little crowd. However, there was none. I parked my Swift outside the church compound and walked in with my camera on. There was a parking facility inside the church compound. Never mind my car rested in the parking zone. 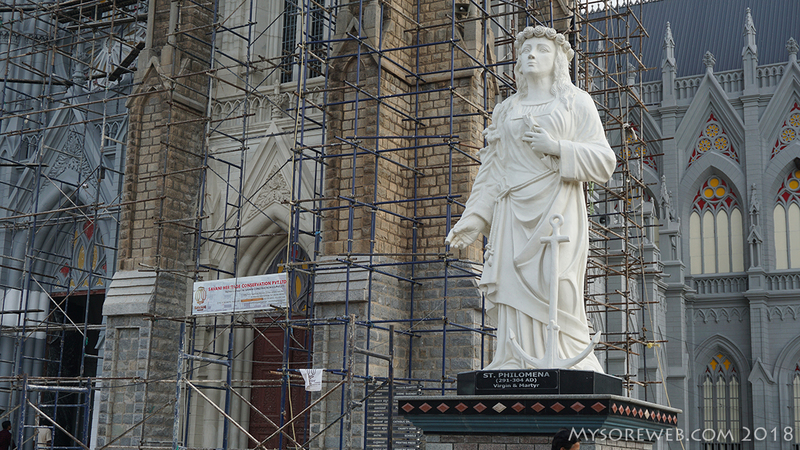 You can observe in the photographs that the church is undergoing renovation. I hope the work completes faster so I can capture this beautiful structure without any poles in between. There were few devotees meditating and I could hear the nuns praying in a little distance. I sat in silence on the wooden bench praying for few minutes. Later, I walked until the dais observing the paintings and the precious stained glasses. I climbed down the stairs to the catacomb and read out in my mind several names inscribed on the wall. I did not read all of them though. The narrow path let me to the exit to the sight of schoolchildren playing in the ground. I spent few minutes walking around the church and headed to my next destination – town hall, my next post. Please subscribe to my blog and share it in your social media for your friends to see and comment their opinions. I hope you found my blog from Mysore interesting.